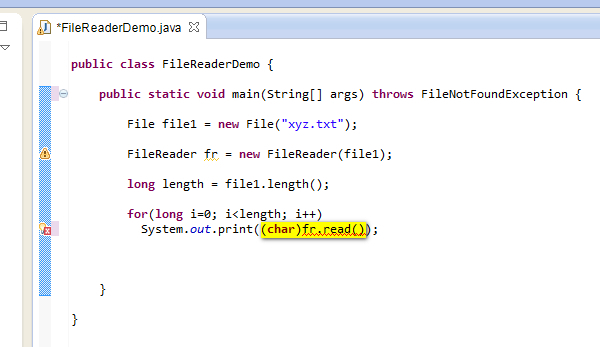 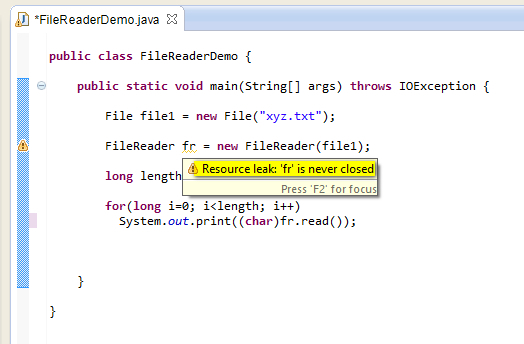 Using read( ) method of FileReader I/O Class, we can read the characters from the provided text file. 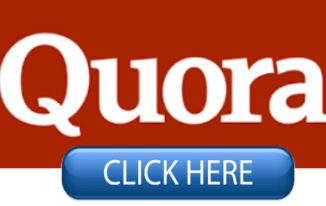 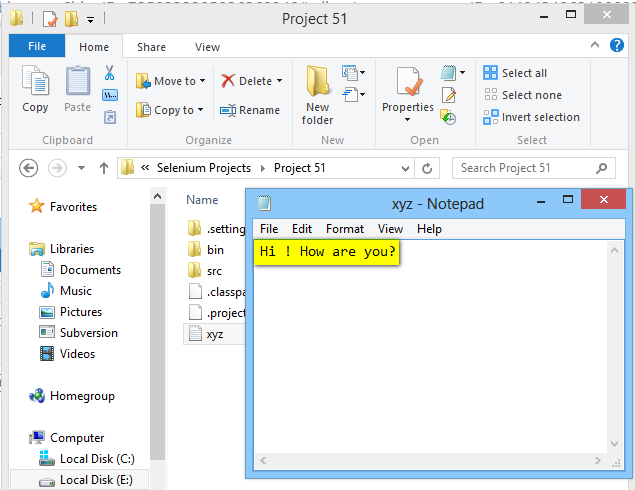 //Assuming xyz.txt is available in our project workspace and has the text "Hi ! 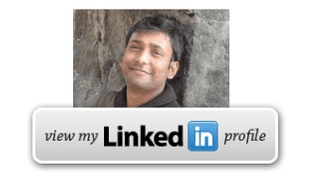 How are you?" 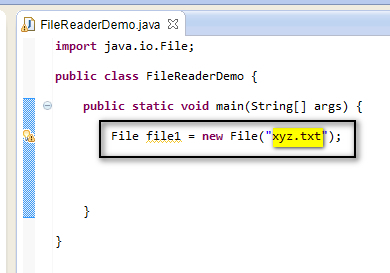 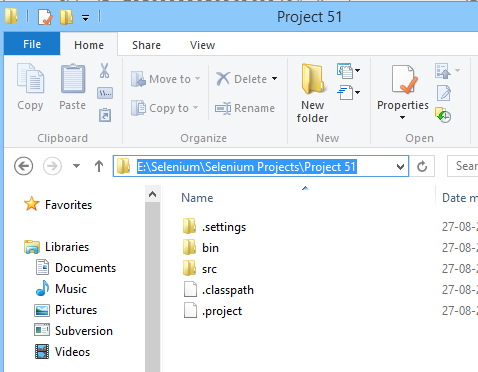 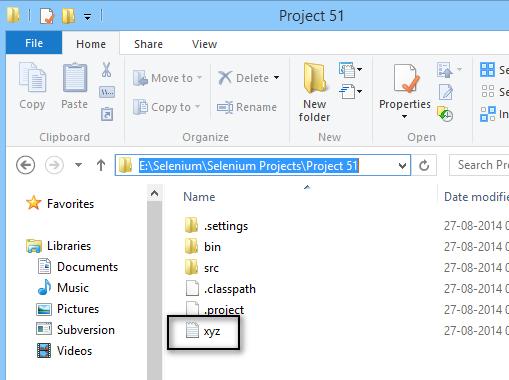 Hence we have used read( ) method of FileReader Class to read all the characters from a text file in our project workspace. 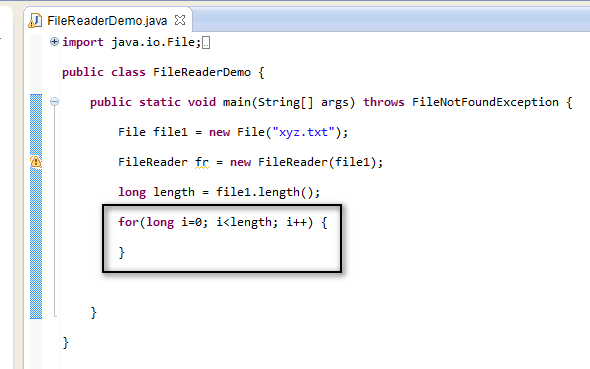 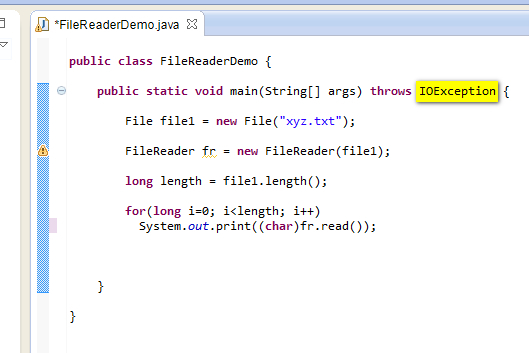 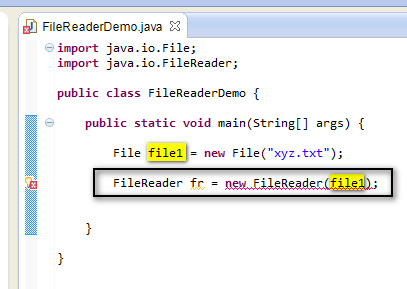 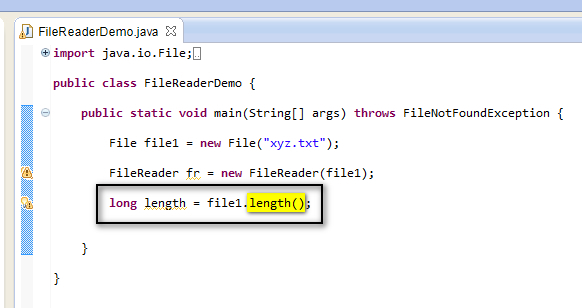 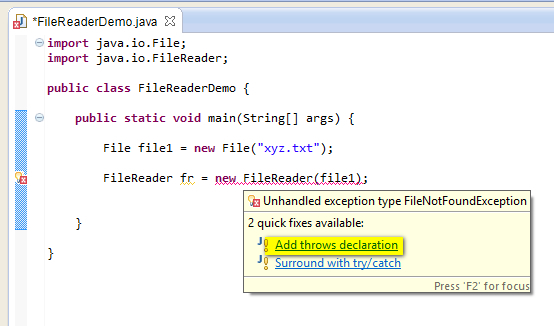 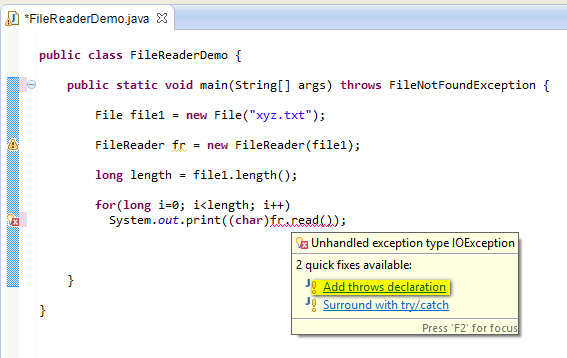 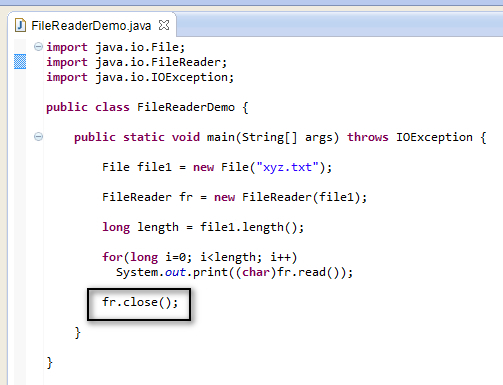 Writing text to a file using write( ) method of FileWriter I/O Class will be explained in the next post. 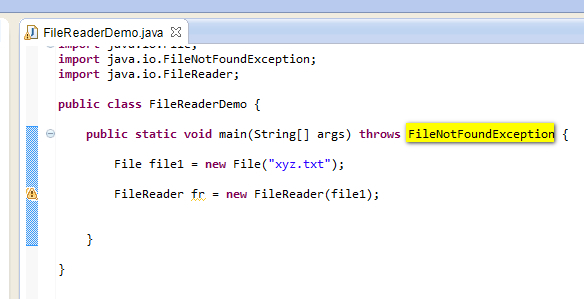 @arpit - Check the contents page.